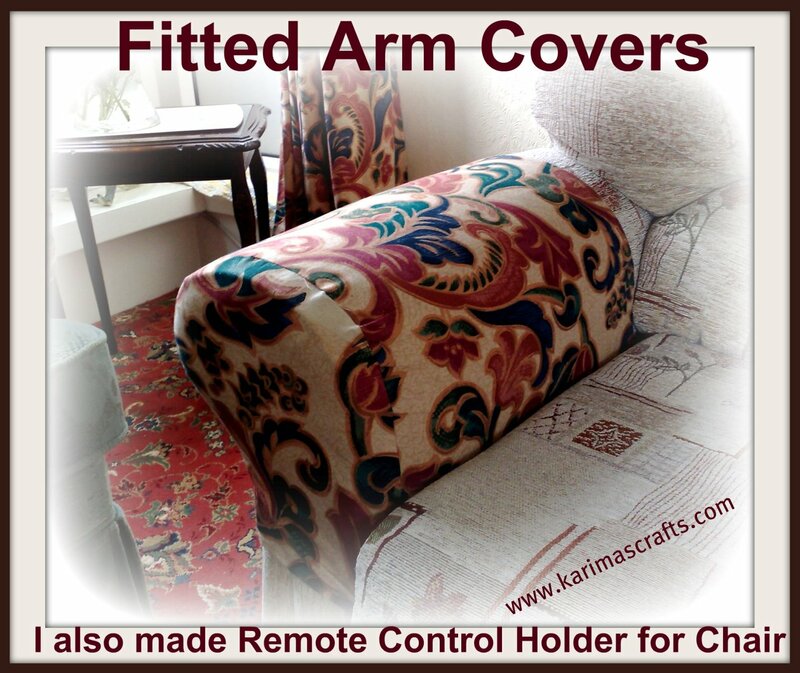 My gran asked me to make some arm covers for her chair and settee. They were both different sizes and the standard shop ones would not be suitable. She wanted me to make them from some spare material left over from her curtains, so that they would be co-ordinating . Above is a photograph of one of the arm covers. I searched the internet for tutorials and then followed their basic instructions, but with a slight variation. I wanted my gran’s armcovers to be tucked under the seat cushion so that they didn’t slide off, so I made one length longer for each one. 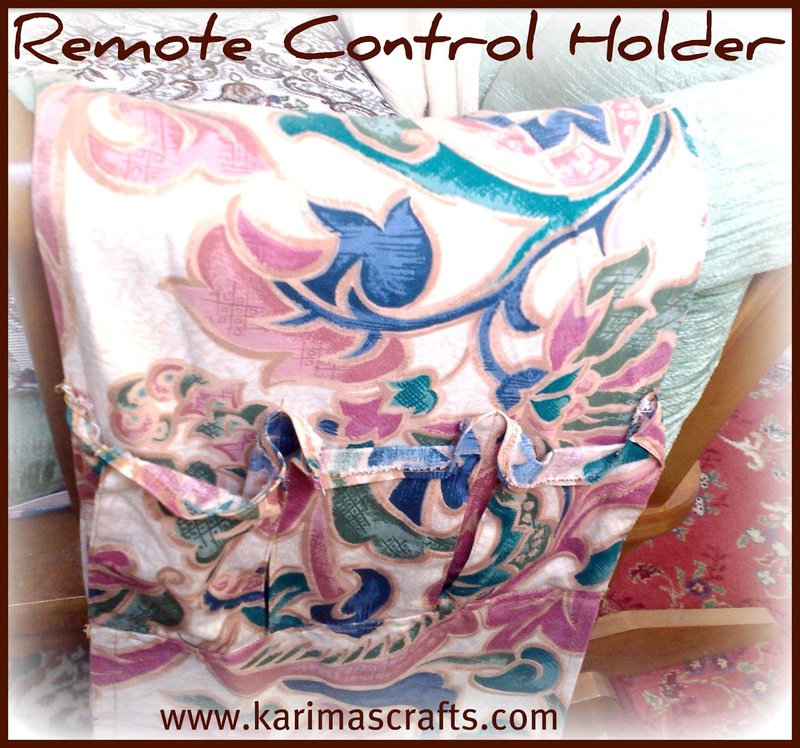 There was still plenty of material left over after doing all her chairs and settees, that I decided to make her a matching remote control holder. She already had one at the side of her armchair, but it did have a tendency to slip off. 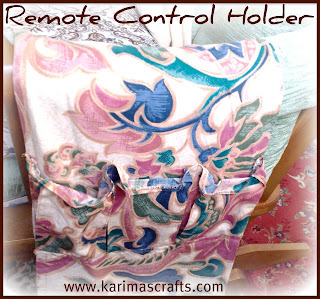 I made two remote control holders (for both sides of her armchair) and added an extra piece of fabric to join them together. This extra piece of fabric does not need to match as this would be hidden underneath the seat cushion. I made sure that when I measured the extra piece of fabric it would ensure that the remote control holders which were on each side of the armchair were at the right position. Because the main fabric is underneath the seat cushion, this makes sure that the remote control holders do not slip off, as did her previous one. This is much better for my gran as now she has a choice of which side to put her remotes.